Girls' wear 4: flowergirl dresses and dressups. Modern. See also next page, and Mediaeval 4. ChD5 9 months give or take a few. Velvet-look synthetic; slightly darker than in photo, glowing. Hat in matching fabric and colour. Dress has ties to make a bow at the back. $20. 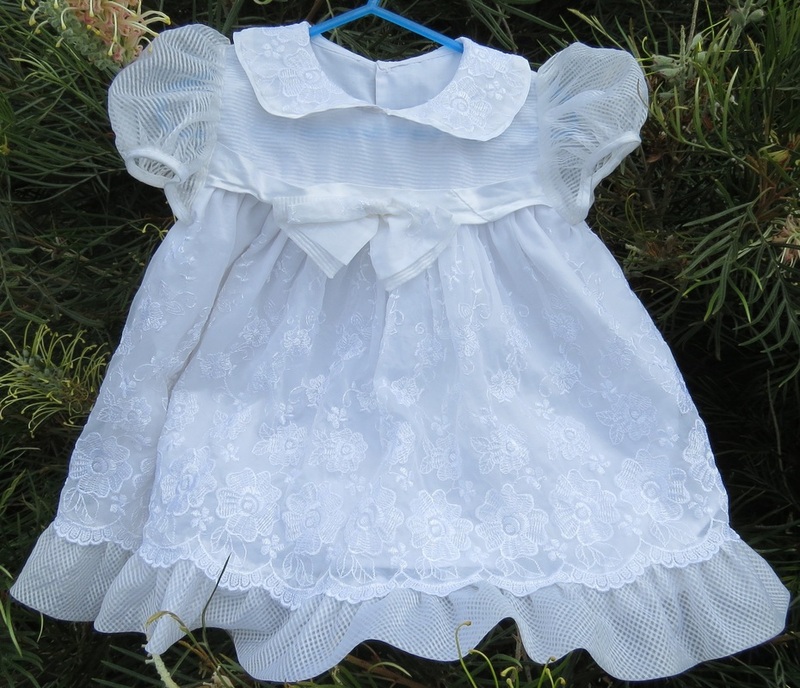 ChD3 Age 6-12 months, embroidered flowers, lattice pattern frill and sleeves. $15. ChD4 toddler. 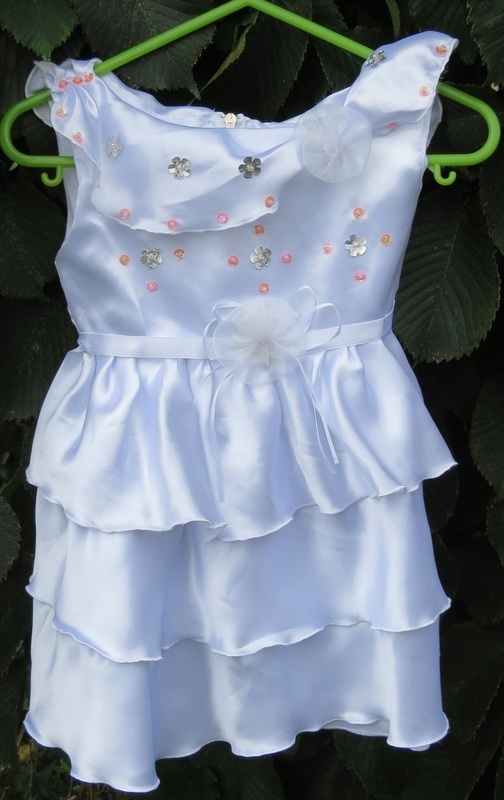 Waist 46cm, length 43. bright white with ruffles and apricot sequins. $15. ChD7 size 2. Waist 57cm, length 47. 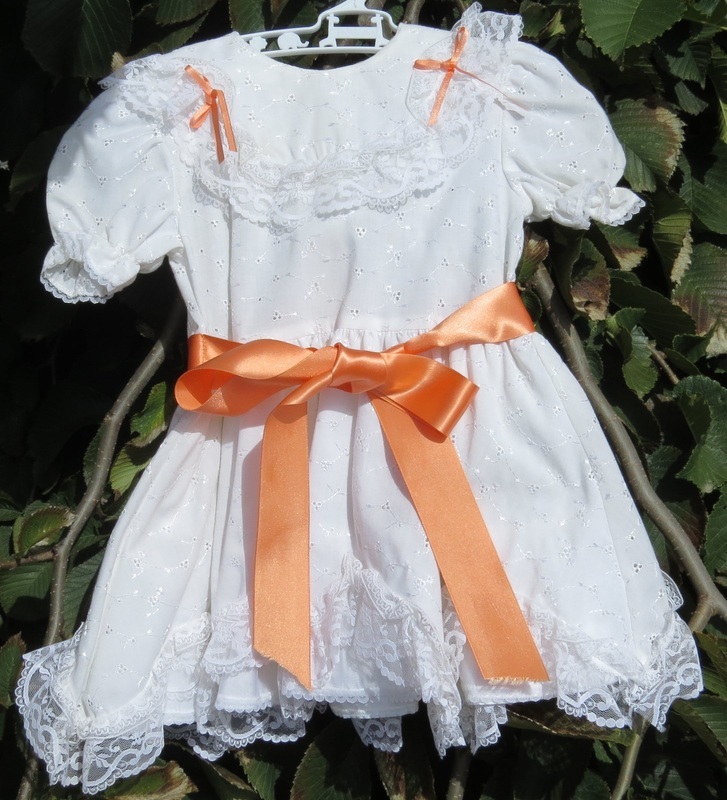 Broderie anglaise, lace and apricot ribbons. $15. 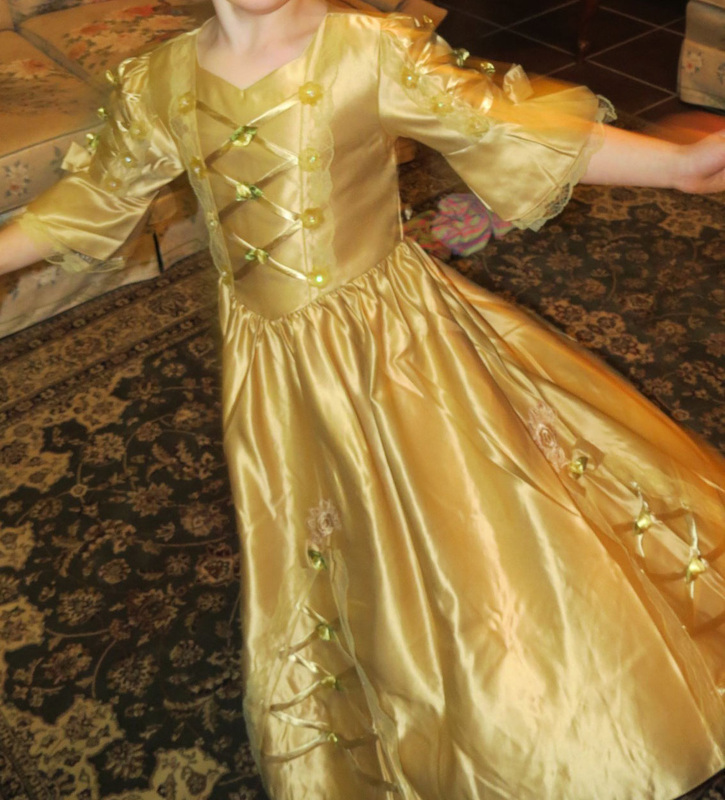 ChD1 Gold lace-up dress, age 6-8. Can be worn over a crinoline. 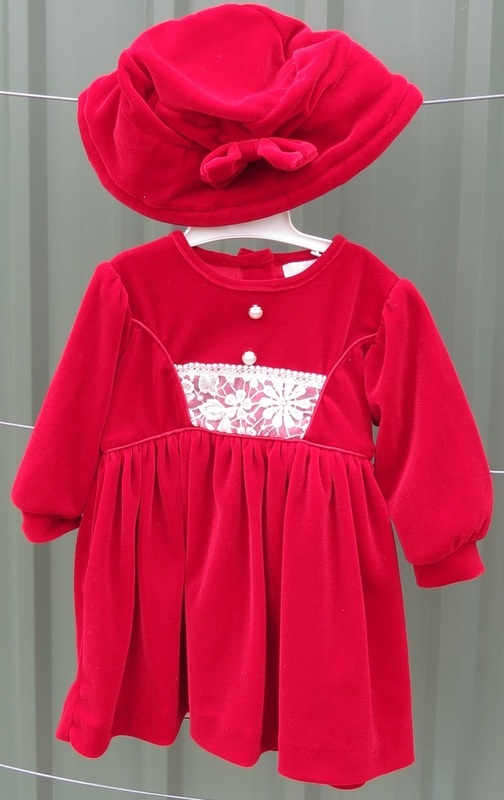 ChD2, same colour as ChD1 and very similar, for age 3-4. $45 each.